If you’re not a hi-fi buff then the prospect of wiring up a complex audio installation could be a bit daunting. Even if you know what you’re doing, it can be difficult to create a setup that’s as neat and tidy as you’d like it to be. 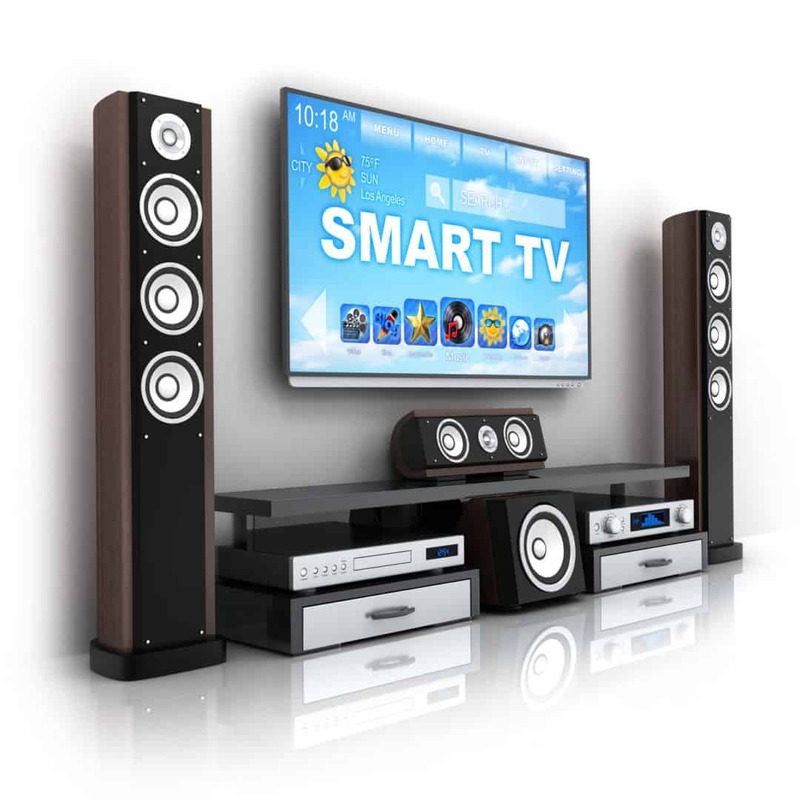 Suppose – for example – you want to wall-mount your new TV and then connect all the other components? You could be looking at surround sound speakers, an amplifier, a subwoofer, a Blu-Ray player, and a satellite box – not to mention the children’s Xbox! How can you get all of those properly connected – and working – without creating a big tangle of cables? Well, you can stop worrying. At Tack Electrical we install setups like this all the time, and with minimal disruption. We’ve come across all kinds of different situations – and many different problems – so we’ll be happy to advise on the right solution for you. And if you need some sound advice on your audio setup, look no further. Haven’t got the right leads and connectors? Don’t worry – Tack Electrical can source, supply and fit all the leads, brackets, fixings, cables and connectors you are likely to need, and because we get them direct from our supplies we can probably beat the high street retailers on price, too. So – if you need a professional, neat and tidy audio or video installation, don’t delay. Give us a call on 020 8088 1816 today!